To be in with a chance to win All-Ireland Final Tickets this is the last reminder to buy a ticket to get your name in the hat. Tickets available from any committee member or email [email protected] asap. Draw on September the 2nd. The club wishes to extend our sympathies to the Dempsey and Bracken families on their recent losses. Ann Dempsey, mother of club member Peter. Ian Bracken (senior), father of club member Ian (junior). Both great supporters of our club. Our thoughts are with their families at this time. AGB would like to thank Harry Murphy for all his hard work and effort with the Wicklow Senior football team over the last 4 years and wish him every success in the future. We had some memorable days with Harry and our club man, Ciaran Hyland, over the past couple of years, the highlight being winning the Division 4 league final in Croke Park against Fermanagh, when Ciaran scored a vital goal for Wicklow in that victory. Thanks Harry! The All Ireland Kick Fada competition which will take place Saturday 13th September in Bray Emmets GAA Club. 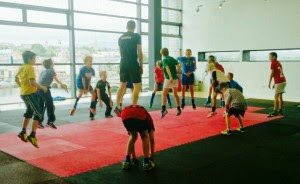 For more details please see All Ireland Kick Fada competition at www.arklowgaa.com. 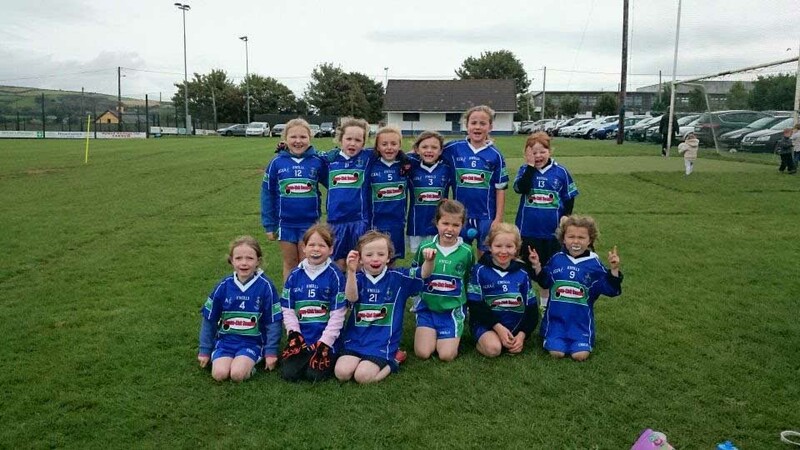 Well done to our U8 girls who played a blitz on Sunday the 30th of August in Carnew. The girls played some great football and provided plenty of entertainment for their loyal supporters! Go AGB! 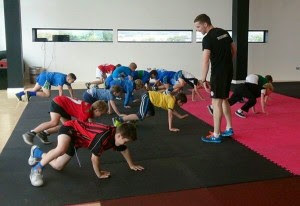 The U9/U10 boys had a great workout during the week in the Bridgewater with Stephen Hurley doing ZUU training. Thanks to Stephen for this. The lads are playing Castletown in Pearse Park on Wednesday, the 3rd of September, at 7pm and have a home blitz in Pearse Park on Saturday, the 6th of September, at 10:30am. AGB U12 Div1 girls were out in championship action against Baltinglass on Thursday the 28th of August. Playing against the wind in the first half, they came up against a much stronger Baltinglass side. Then, 5 minutes into the half Morrigan Canavan had to be taken off due to injury which left AGB with just 14 players. Baltinglass took their scores and would’ve been way ahead if it wasn’t for Georgia’s great defending and Lucy’s great goalkeeping. Score at half time was 2-6 to 0-0 in favour of Baltinglass. The AGB girls came out fighting in the second half and took their scoring chances. They kept Baltinglass to one point in the second half. Final score Baltinglass 2-7 AGB 1-3. Well done girls! The Shield Semi-Final against St. Nicks is next up. Next up for the he U12 Div2 girls is championship, away to Blessington on Tuesday September the 2nd. AGB U16s got their 2014 Championship off to a successful start with a convincing win over Blessington on Tuesday August 26th in Pearse Park. For full report see: U16 Report at www.arklowgaa.com. The Junior Men were beaten by Baltinglass in the PhilipDoyle Junior B Football Championship Quarter Final on Friday the 29th of August. Final score: AGB 0-9 Baltinglass 3-22. The senior men had their game was called off on Sunday the 31st of August due to a bereavement in Shillelagh. This game will be rescheduled. The Senior Ladies will take on Baltinglass in the County Final on September the 7th at 5pm in Aughrim County Grounds. The Senior Ladies game is preceded by the Junior B Ladies Championship Final replay, Carnew v Newtown at 1pm and the Intermediate Ladies Championship Final, Coolkenno v Valleymount at 3pm. Best of Luck Ladies! Please note that the admission price for the finals is €10 for adults, €5 for Students and OAP’s. Under 16s are free. GAA passes are NOT acceptable as entry for the County finals. For poster see: Ladies County Final Day at www.arklowgaa.com.